Summer’s here; the sun is shining bright and the roads are calling for a touch of those gripping tires. Take your motorbike abroad to one of Europe’s best motorcycle tour routes and experience a journey that adventure -lovers crave day in and day out. The adrenaline associated with these routes is something else. The tingle down your spine as your head and chest feel like it’s contracting—the blood rushing through your veins. It becomes an experience we can’t forget; an experience not many roads can deliver. Here are the top five motorcycle routes you’ll find in Europe. Also known as the DN7C, the Transfagarasan is one of the highest paved roads in Romania. The dramatic experience that is associated with the DN7C can only be found in Transylvania—the 90km road full of twists and turns is built strategically as a military route. The road was made in the 1970’s when the Soviet Union invaded Czechoslovakia. Ceau?escu, ruler of Romania at that time wanted quick military access across mountains as a precaution. The road did not go up easy, though—about 6 million kg of dynamite were used and 40 soldiers lost their lives during the construction. The Transfagarasan closes down in late October, sometimes even earlier depending on snowfall in the region. 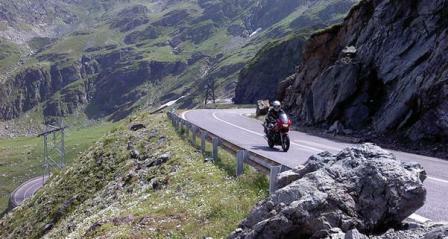 Jump on your bike now and relive history on the Transfagarasan. What’s even better is that there is quick access to the Bâlea Lake and Waterfall. If you’re a fan of jaw-dropping scenery (and let’s face it, who isn’t? 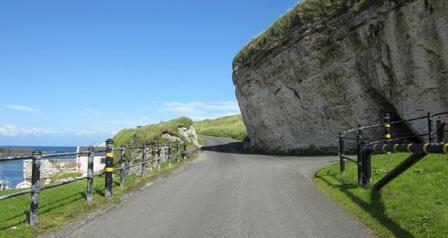 ), then the Antrim Coast Road is one you can’t miss. The 96km of beautiful coastline continues through fishing villages Ballygally, Glenarm, and Waterfoot and ends at the Giant’s Causeway. You’ve biked it at full speed all the way here, why not go to the other extreme and take some time fishing? Everyone needs a little relaxing. On a good day, you’ll see the Mull of Kintyre in Scotland over here. Experience nature the right way on the Antrim Coast Road! If the Antrim Coast Road got you excited and in the mood, then the Agiofarago Gorge in Crete will leave you in a state of ecstasy. Just south of Odigitria Monastery, the isolated route is filled with unbelievable scenery from vertical rock faces to hermit inhabited caves. You need a perfect end to a perfect road, which is why the Libyan Sea happens to be right there at the finish. 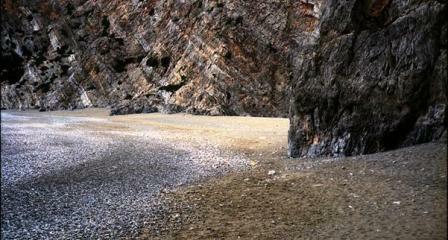 The Crete route will leave you thirsty and hot, so cool off with a nice swim and an unreal view of nature at its best. You’ll probably feel like you’ve been here before. The Furka Pass was where the famous chase scene from Goldfinger took place! We’ve all wanted to be James Bond sometime in our life, why not do it now? 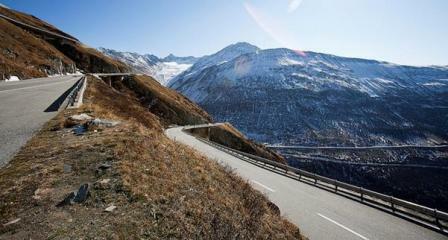 Hop onto your bike and hit up the Furka Pass at nearly two and a half kilometres above sea level. Once you get around the top you’ll see the incredible sight at the Rhone glacier; source of the Rhone River. Known as one of the best routes in Italy, the Amalfi Coast Road starts in Naples and ends in Salerno. It’s about 80km and passes through Sorrento and Amalfi—don’t miss the Isle of Capri when you’re on this route trying to manoeuvre through Italian twists and turns. 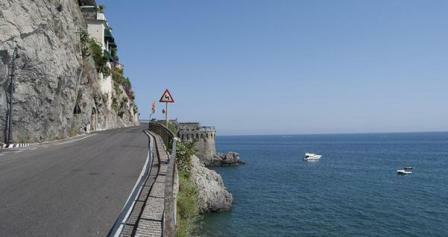 The Amalfi Coast Road, as you may have guessed, is on coastal cliffs which give incredible views to the Tyrrhenian Sea. The route passes through the village of Posiano, a common tourist attraction in the area. Sohaib Siddique is passionate about experience and adventure travel and works as a writer. He’s currently working with Hotel Club, a website for booking hotels in London and more. When he isn’t around and about, you’ll find him pushing the limits on his bike or stuffing his face with his food obsession. Here is an article written by one of my mentors. Bob Megonigal has served our local HOG Chapter as a Head Road Captain and has been riding longer than I have been alive. He has been nice enough to let me publish this article. Bob has strong feelings about motorcycle safety and wearing a helmet. Please read Bob’s story and then decide for yourself whether you want to wear your helmet or not. Many times I have been asked why I wear a helmet and it is usually asked by the same type of person. They are usually young and inexperienced. This question is usually asked by someone who has been riding less than a year. I never have a chance to answer before they start telling me how helmets block one’s vision and cut your hearing. I want to reply “you must have it on backwards” but I don’t hoping we can turn this into a productive conversation. Sometimes I just reply “when my head becomes harder than the roads, I might consider not wearing a helmet”. Sometimes I tell them my story and my reasons for wearing a helmet, and sometimes they listen. Now that I have your attention let me bore you with my story and my reason for wearing a motorcycle helmet. I have to thank my brother Walt because he plowed the road for me to get my first motorcycle at the ripe age of 16. He had already begged and pleaded with our parents for his own motorcycle and he was much older than I. The deal with our parents was I would have to wear a helmet! 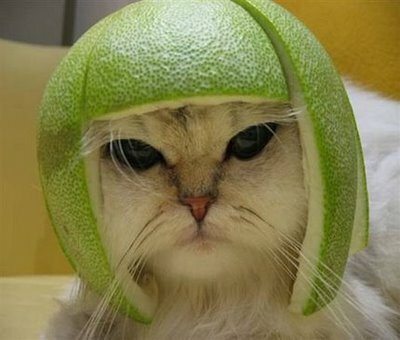 Let me repeat: I would wear a helmet at all times while riding the motorcycle. The year was 1965 and everywhere I rode somebody knew me and my parents, and yep the helmet was on or someone would call home. So as the years, miles and different motorcycles went by I just got used to having a helmet on my head. I was very lucky during the early years of riding, you see there were no safety riding courses to take back then. There was no Riders Edge Course where one can learn the pitfalls of riding in a classroom. You found them out on your own back then, the hard way. Fast forward to 1978, October of ’78 to be exact when luck looked the other way for me. I was riding a 750 on a back road off Rt. 896. Here’s the picture: a narrow road with a sharp right turn and a corn field growing right to the edge of the right side of the road. As I round the turn there are four kids playing with skate boards on the left side of the road! I cut speed to about 20 mph. At this time I think I am clear because the kids are looking at me. Then it happened! Their eyes grew wide and stared at the the corn field. I look but too late! The biggest damn black lab I have ever “almost” seen shoots out of the field! I hit him with the front wheel and go down! I hit hard on my back. The 750 has crash bars that keep my feet clear. As I slide down the road I am feeling sorry for the dog; funny the things that go through one’s mind during times like that. The dog was fine but a bit sore after the dog/motorcycle collision. “How about the rider?” you ask. Well it just so happens I put on my riding boots, heavy pants, riding jacket, riding gloves, and my helmet that day. Yes I said helmet! You know! That horrible device on my head that impairs vision and hearing! So now I am laying on my back with my left leg pushed under my right one and I am waiting for the pain to start. I slowly start to move all my limbs. They moved so I stood up and started to look at my riding gear. Boots scuffed and tore, but feet were fine. Pants scuffed and tore, but legs legs were OK. Riding coat scuffed and tore, arms and back bruised and sore… but all my skin was still there. My head felt fine. I didn’t think it ever touched the ground. THEN I TOOK OFF MY HELMET! The helmet was a Bell Magnum. In 1978 it was one of the better helmets on the market. The back of that helmet was crushed! When I hit the road my head was slammed back into the pavement with a whiplash effect. Did the helmet save my life? Let’s say this: if it did not save my life than it surely saved a lot of pain and kept me from going to a place none of us ever want to go to! Looking back on this experience I wonder what really kept me from injury that day? It was my parents insistence I wear a helmet and my having enough common sense to do so. Do you have the same common sense? Do you want the protection I had if a similar freak occurrence happens to you? I have had many good years of riding since 1978 thanks to my parents, my common sense and that Bell Magnum helmet. The choice IS yours! Accidents like that dog/motorcycle collision happen fast! It’s not slow motion like in the movies! One second you are riding the next you are down. Protect yourself! No one else can do it for you. A lot of us care about you. What do YOU have to lose? Do you want to go to a place none of us ever want to go to?! Then wear your helmet! The Harley-Davidson® reputation is built not just on performance, but on the fact that the brand is an American icon. Those with nothing more than a passing interest in motorcycles assume that almost every chopper or cruiser they see is a Harley, while the emblem is worn on T-shirts and belt buckles by people who have never even ridden a motorbike. While having such a strong global brand is positive for the motorcycling community, demand for Harleys does make them expensive to buy new. It’s not only the cost of the bike that you have to consider – you need to know how much it will cost you to keep the gas tank topped up and to insure the bike. More powerful machines typically use more fuel, and prices for motorcycle insurance can vary significantly depending on the type of bike you go for. Once you’ve identified a suitable model, work out the extra costs – if they’re too high, there’s no point going to see it. Whether you choose to use a dealership or a private seller may well depend on your budget, but bear in mind that some dealers will offer an aftercare service that you wouldn’t get with a private seller. You may pay slightly more but aftercare can be hugely valuable if you’re not exactly skilled with a wrench. However, a private seller may be more flexible about price – especially if they’re looking for a quick sale. It goes without saying that before you part with any cash, you should do a full inspection of the bike. But what do you need to look for? With an unmodified bike, you should check that the serial numbers on the transmission, engine and steering head match. If any of these items have been replaced, ask to see the maintenance records. When you’re buying from a private seller who has a bit of expertise with bikes and has done the work themself, this might not be possible – but you should expect a discount if this is the case. 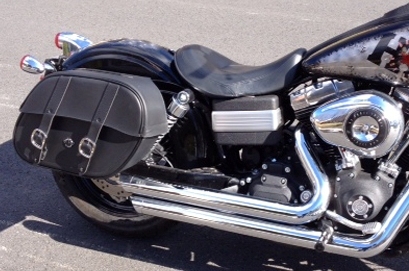 When inspecting the bike, check the foot rests and the ends of the handlebars. These may not seem important but they usually carry the tell-tale scars from falls and slides, which are something you should ask the previous owner about. Check all the controls – levers and foot operated – to make sure they move comfortably and quietly, and check the oil and transmission levels for signs of debris. You should do all this before you head out on the all-important test ride. Also be wary of bent rims – these can be fixed in some cases but are costly to replace. Lastly – and most importantly – try not to get too attached to the bike before you have a suitable deal in place, it’ll make it harder to walk away. But if you do have your heart set on a particular machine don’t show it – you’ll seriously damage your bargaining power!